This is Erin's 8th year of competing at PPA's International Photographic Competition (IPC) where every year, she enters 4 of her best work in the Open Photograph category, striving to have her images selected for the coveted LOAN Collection. This year at IPC, there were 5077 images entered from 1301 photographers, more than half did MERIT (2677) and 513 were selected for Loan. What is a MERIT? PPA explains it best - "When defining a “merit image”, PPA’s International Photographic Competitions Committee (IPCC) applies 12 distinct criteria. PPA-approved judges are trained to be aware of these 12 elements when judging images to the PPA merit level. These 12 elements bring together both the historical and modern practice of our profession." EACH photographer may enter ONLY 4 into the Open Category at IPC. They could be images that started at the State level, and/or Sealed at the District Level or Brand New, never have been judged before images. This year, Erin entered at the State level, then moved 3 images on to the District level with 1 new image of the three puppies below. ALL four Sealed with two receiving a score of 85 that would be judged in a 2nd Round at IPC to possibly be included in the Loan Collection and a 2nd Merit (only images that score 85 and above will be considered for Loan). It's easiest to show all the images that sealed as a merit at the District level and tell you how she took a risk and BROKE THE SEALS on two of her images for entering at IPC. Most people would say that's crazy and if she didn't already have her Master of Photography degree, she would have never taken this chance. "Fibonacci In Green" received a score of 91 at Virginia's Professional Photographers Association's annual image competition and Best Pictorial Award. She along with 9 of her peers, was honored with Top Ten Photographer's Award in Virginia. This photo of a succulent went on to the District competition where it sealed with a score of 85 -which meant it would go before the Loan Panel at IPC. She opted to continue it on without making changes and keeping her Seal intact for review in front of the Loan Panel. It was not selected. "I Don't Wanna Nap!" received the dreaded 79 at VPPA, 1 point shy of a Merit. Erin updated the image and changed the mat - It received an 83 at District, SEALED! - Entered at IPC for the guaranteed Merit. "Home For The Evening" received an 81 at VPPA and 85 at District - making it eligible for the Loan Panel at IPC. After entering at District, Erin realized there was an overlap error at the edge of the image when entered at District. She debated about breaking this Seal due to the score of 85 - because it would definitely go before the Loan Panel. She reasoned that the technical error was noticeable enough that it wouldn't be accepted so she opted to risk the Merit and fixed it. The sunset silhouette with pelicans settling in for the night did get the Merit with a score of 82. "SQUEEE! A Set of Three!!!" was Erin's pride and joy this go around. The three sweet shihtzu puppies from Erin's clients, Royal BB Girls, were entered for the first time at District with the title, "Too Cute To Choose One!" where it received an 81 - guaranteed Merit when she continued it on at IPC. But she chose to Break the Seal to make changes for the better and enter it at the International Photographic Competition with PPA. She was taking a chance at received NO MERIT at IPC when it could have been a definite Merit just by submitting it. She spent hours and hours updating the entire image - choosing a different mat and changing the title. These adorable furbabies received a 92, in the Excellent Merit category with a definite chance at the second merit when brought before the Loan Panel. Alas, it was not selected, but Erin is proud to announce, it did receive a SHOWCASE Award. This doesn't get her an additional Merit but it just a little recognition will be published in the Showcase Book alongside many other excellent images that were almost considered for the Loan Collection. Erin is proud that all four images merited resulting in a PPA Bronze Medal and naming her Elite Photographer status for the 4th year in a row. The ultimate honor is having her images selected for the Loan Collection - unfortunately, none were chosen this year. Every year, she keeps on learning, refining and entering; she improves and refines her craft to be a better photographer which in turn benefits all her clients. Earning such an honor is a culmination of hard work that is a goal she strives for every year since 2011; All Merited images will also be on display at the International Photographic Exhibition at Imaging USA, to be held in Atlanta, Georgia, January 17-22, 2019. Certified Professional Master Photographer, Erin Clark, spends several weeks each year in the Pacific Northwest. The rest of the year, she resides in the city of Virginia Beach with her retired US NAVY, husband, Erin (the other 'E' in E-n-E), their son, three pups & 2 cats, spending most days at the London Bridge studio. 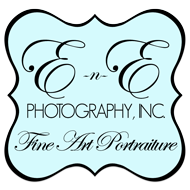 If you are not in the Virginia area and are looking to book a session with Erin, please contact her for dates.